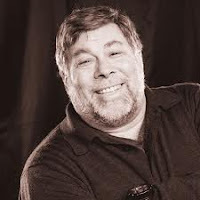 Home Business News Steve Jobs Wozniak & Jobs Never Had A Falling Out! 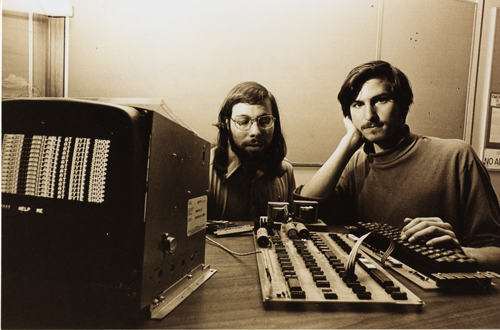 Wozniak & Jobs Never Had A Falling Out! “Tablets are the zenith of what Steve Jobs wanted to produce at Apple from the creation,”- Apple co-founder Steve Wozniak said in his keynote session at Storage Networking World in Santa Clara, California on Monday. When being asked how tablets would change the computer industry, he made a parallel between them and TVs. “The tablet is not necessarily for the people in this room, it’s for the normal people in the world,” Wozniak said to the listeners consisting of enterprise storage engineers. “I think Steve Jobs had that intention from the day we started Apple, but it was just hard to get there, because we had to go through a lot of steps where you connected to things, and (eventually) computers grew up to where they could do ... normal consumer appliance things,” – he added. The voluble Pirate of Silicon Valley legend, who hasn’t been in charge of Apple at a full time since the 1980s and is now chief scientist at solid-state storage vendor Fusion-io, did hurl out a cutthroat remark about the marketplace. “On the subject of tablets, I read today that Android tablets are expected to surpass iPads, and I hope that never happens,” Steve said. Expectedly, Wozniak’s speech scarcely stroke on his current job, but mostly he amused the audience with stories of his Apple days and his feelings about the education.When being asked why he left Apple, Wozniak said “We have never had an argument, we’re just in different places, and we’re different people.” Jobs was fond of running a corporation, while Wozniak was and will always be an engineer at heart.